Last week Washington Wizards and former UConn star Emeka Okafor and Dean of Libraries Mike Olson spoke at an Elevate event (elevateusa.org). Thanks to the leadership efforts of Sky Hyacinthe, Malia Willey, and many others, the academic collaboration between Elevate and Loyola’s Monroe Library is just concluding its first semester. Elevate’s 7th-12th grade student-athletes meet in the Library with tutors to work on homework and build skills for college preparedness. 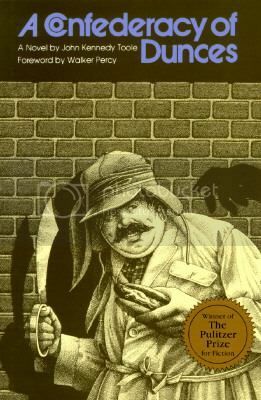 Today, December 17, would have been John Kennedy Toole’s 75th birthday. 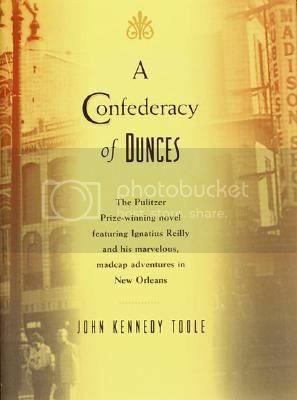 Toole, the author of the posthumously published, 1981 Pulitzer Prize-winning novel A Confederacy of Dunces, was born in New Orleans, graduated from Tulane, and later taught at St. Mary’s Dominican College (now part of Loyola’s Broadway campus). Sadly, Toole committed suicide in 1969 at the age of 31 and never got to see the success and accolades his novel earned. 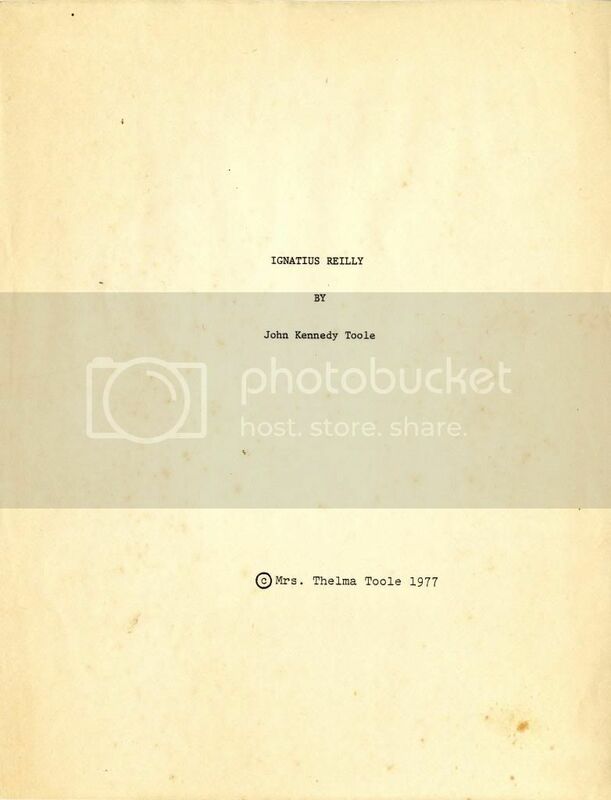 Toole’s mother Thelma worked tirelessly to have her son’s work published after his death and it was at Loyola that she tracked down the famous Southern writer Walker Percy and convinced him to give the manuscript (then called simply Ignatius Reilly) a read. 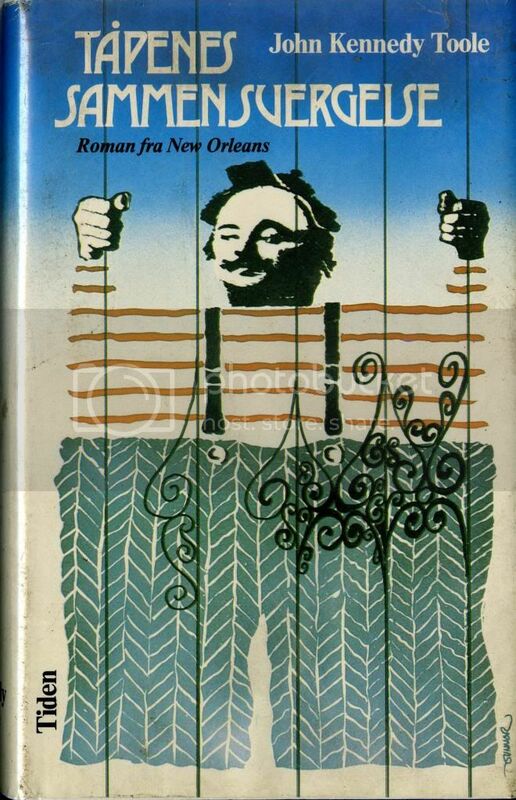 Percy was surprised to like the novel and it is through his efforts, along with Loyola professor emeritus Marcus Smith, that part of the book was first published as an excerpt in the New Orleans Review and then published in full by LSU Press in 1980. 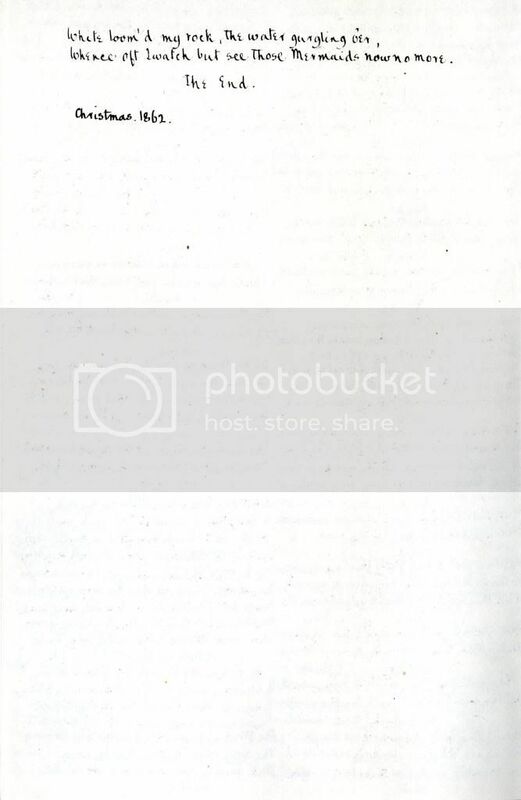 Thelma Toole shopped the manuscript for Dunces around so much that there is debate over which is the “first” or original copy. Special Collections & Archives has two possible candidates, one in the New Orleans Review Collection and one donated by Percy’s longtime friend Lyn Hill Hayward. 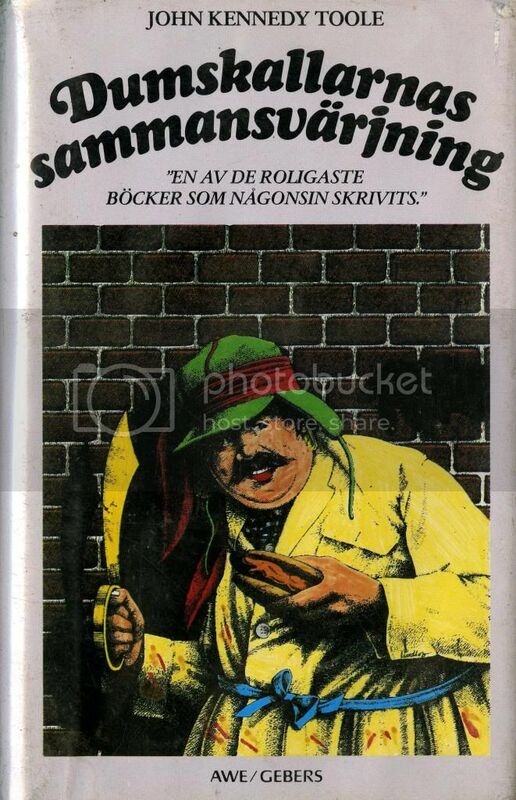 Confederacy of Dunces was eventually translated into 35 languages. Special Collections & Archives has copies of many different editions of the book in several different languages, largely in the collection donated by Patrick Samway, S.J. To view these items and more in their entirety, contact Loyola University Special Collections & Archives at archives@loyno.edu or come see us on the third floor of the Monroe Library. As Monroe Hall is renovated, departments and individuals have been displaced; some to different offices, some to different buildings and some to modular office space in the Mercy parking lot. 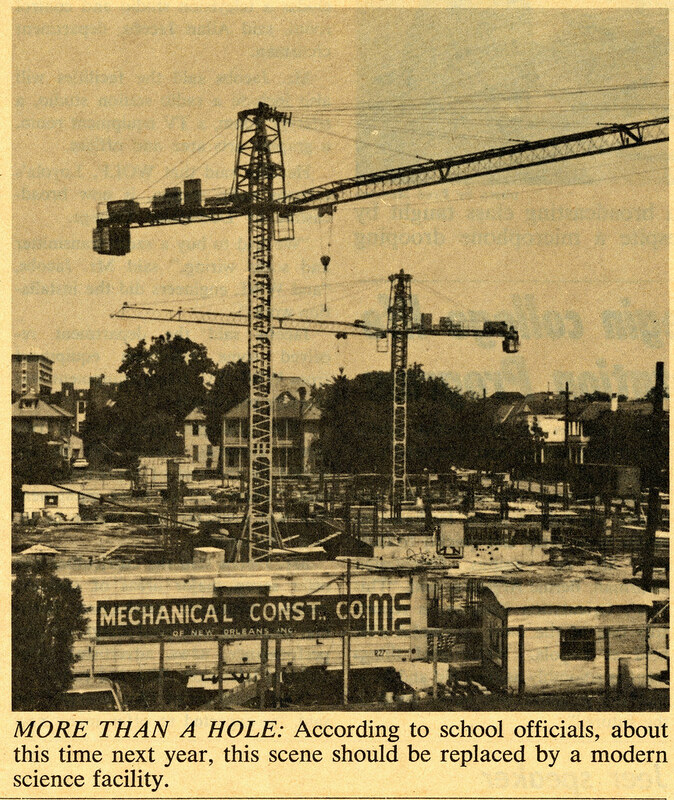 Amidst the scramble it is interesting to note that the construction of Monroe Hall brought about it’s own challenges and growing pains, as coverage from The Maroon illustrates. One thing is for sure: moving is never easy. Happy Holidays from the Monroe Library! On behalf of the entire Monroe Library team of faculty, staff, and student employees, my wife Karen and I wish you Happy Holidays and all health and happiness in 2013. 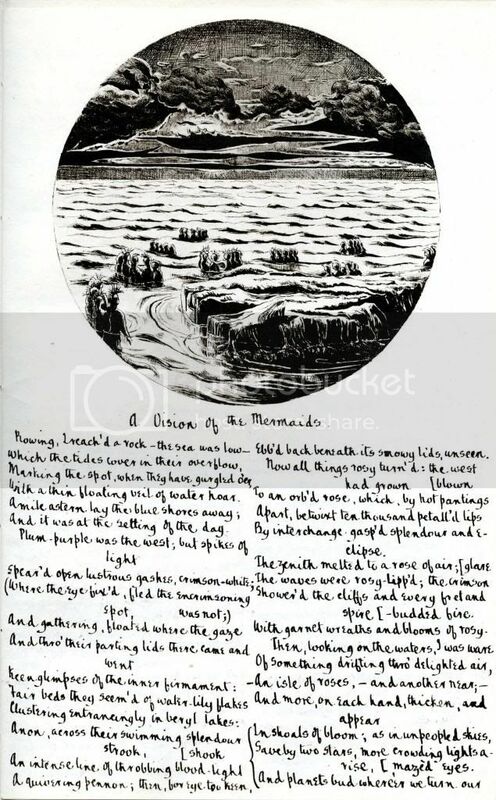 In 1929, the Oxford University Press printed, for the first time in full, Gerard Manley Hopkins’ poem “A Vision of the Mermaids,” written on Christmas day of 1862. 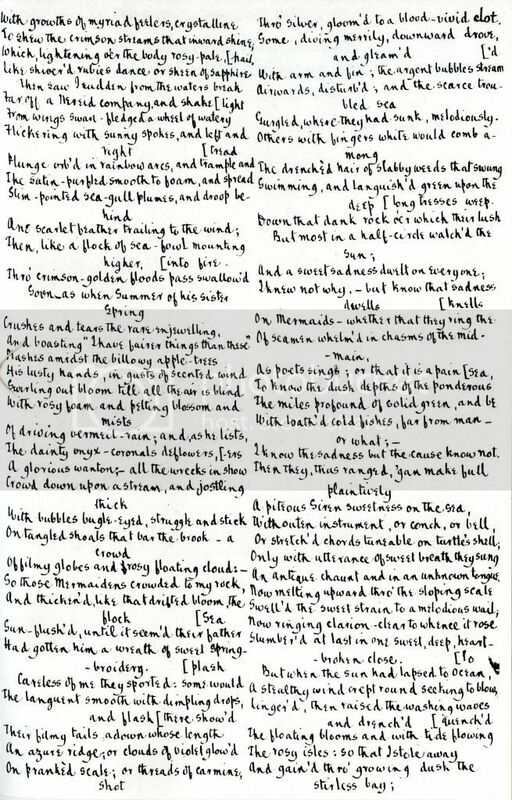 The poem had been partially printed in A H. Miles’ Poets and Poetry of the Nineteenth Century: Robert Bridges and Contemporary Poets and in the Notes to the Poems of Gerard Manley Hopkins edited by Robert Bridges in 1918. Hopkins was a British poet and Jesuit priest. 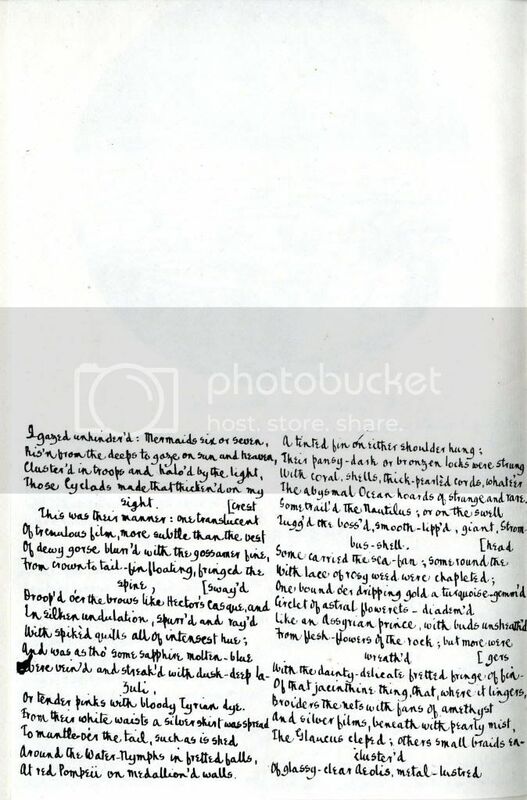 This volume is the 157th copy of 250 from a limited edition printing, and is made of a facsimile manuscript complete with an illustration by the author. 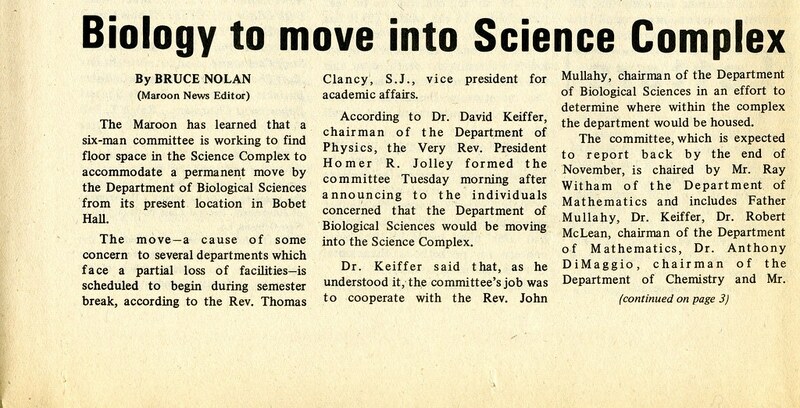 To view this item in its entirety, contact Loyola University Special Collections & Archives at archives@loyno.edu or come see us on the third floor of the Monroe Library. 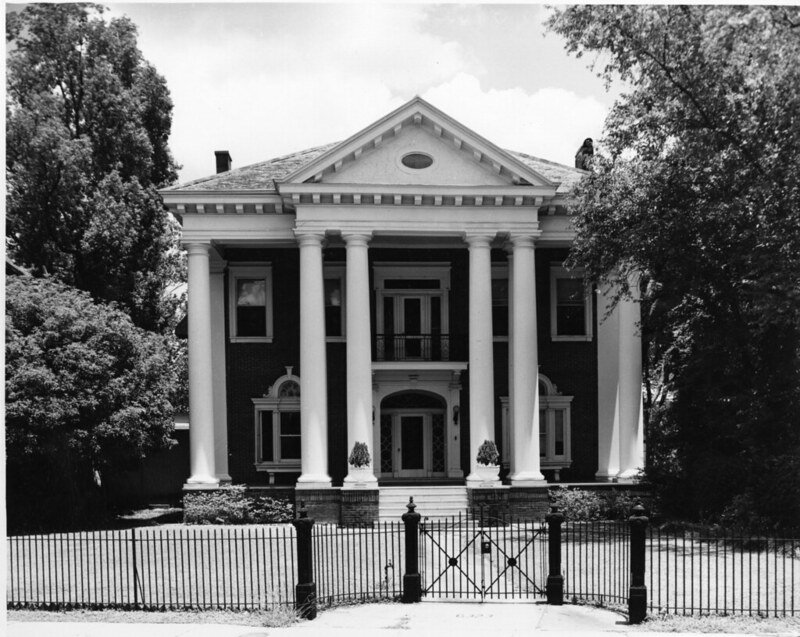 Did you know that Loyola once own three huge mansions which sat on the corner of St. Charles and Calhoun Street? As the university expanded, these structures became less functional due to lack of space and the constant upkeep required. 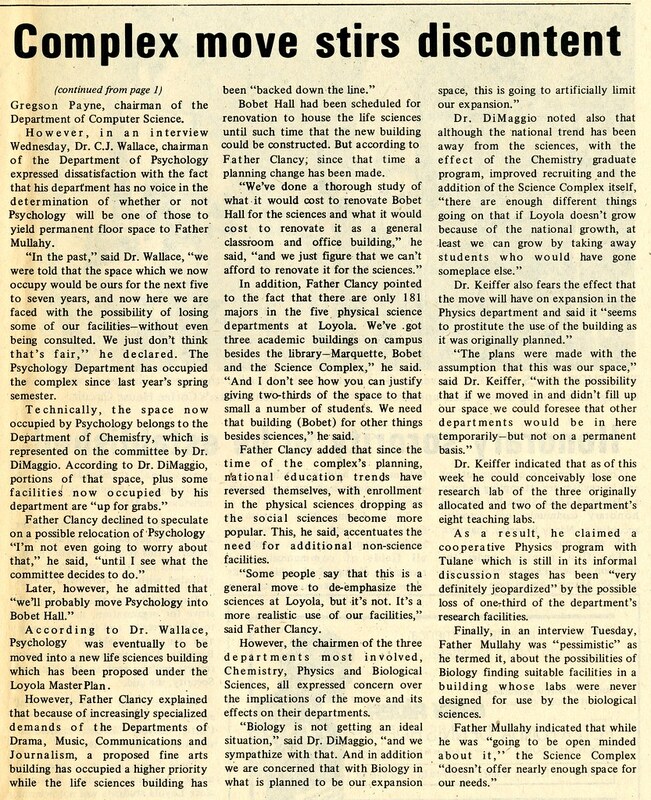 When plans for the new Communications/Music complex were underway, university officials realized they had to demolish these mansions to make room for the new building. Many older alumni remember these homes with fondness. Can you imagine sitting through class in the attic or ballroom of an old St. Charles mansion? Thomas More Hall was purchased in 1942 and originally used to house the School of Law. 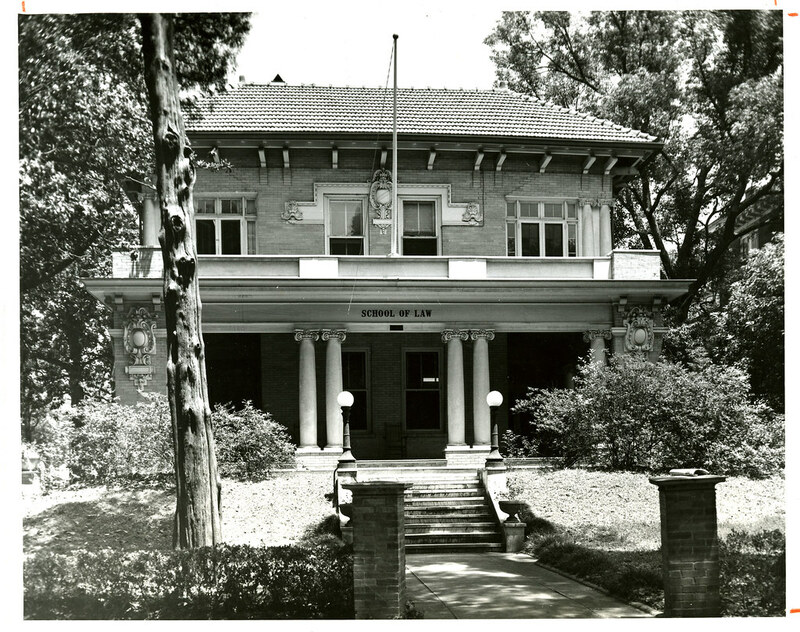 In 1973, the Law School moved into what was then their brand new Branch Knox Miller Hall (known today simply as Miller), allowing the Education Department to move into the mansion. At this point it was renamed Elizabeth Seton Hall after the first native-born American Saint, a woman dedicated to education and the Catholic Faith. Purchased in 1932 for the newly formed School of Music, MacDonald Hall served in this capacity for over 50 years. Named after former Loyola University President Reverend Edward A. Cummings, S.J., Cummings Hall was offered to the university by the estate of the former residents, the Fenner family. 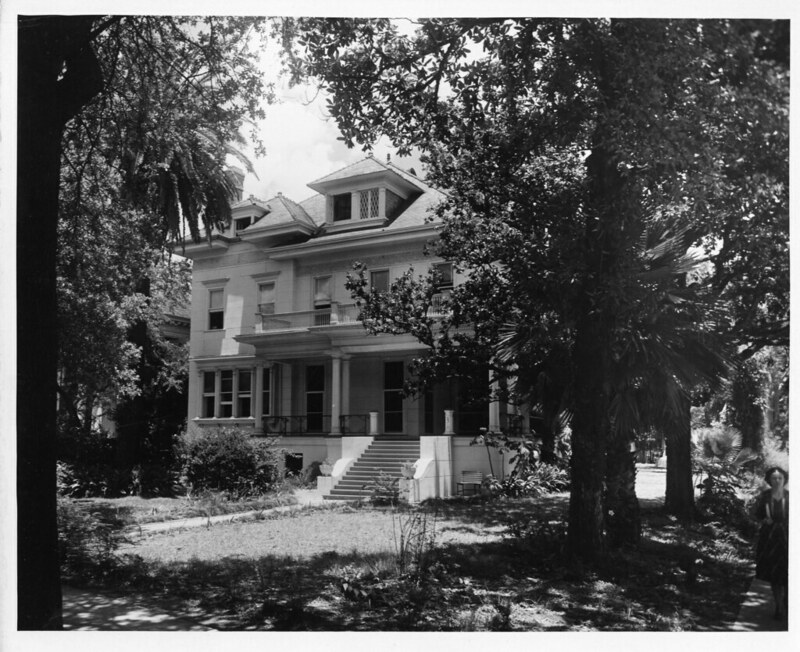 The mansion, which sat on St. Charles Avenue between the School of Law and the College of Music buildings, originally housed the Alumni Office and the Sociology Department but was eventually taken over by the College of Music, which had outgrown its space in MacDonald Hall. In March of 1974, the structure was gutted by fire and took over a year to repair. The weather is so warm in New Orleans right now that the only snow you might be thinking of is the kind you’d buy from a snowball stand. Alumnus Jerry Hoskins (’59) recently attended Dr. Bernard Cook’s presentation on the history of Loyola and was inspired to go through his own photographic archives. He was kind enough to share this photo and story with Special Collections & Archives. 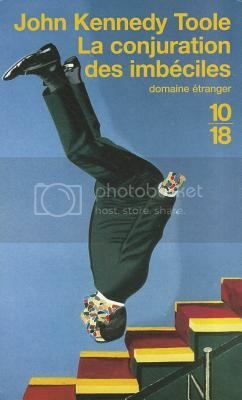 In 1952, Jean Torre, Peter Daschbach, Piet Kessels, and Hoskins were taken by the entrepreneurial spirit. 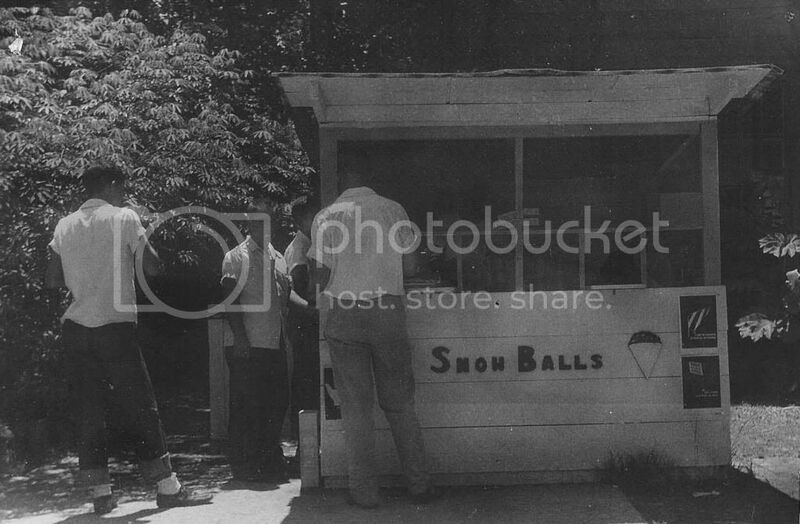 The four De La Salle freshmen took a $100 loan out from Hibernia Bank under the company name “JEAPINS.” The snowball stand was built of “midnight requisitioned materials from the dump and the street.” Located on the Calhoun-street side of the campus in front of the student center and Maroon office, the four entrepreneurs made over $800 that summer from selling 5 and 10 cent snowballs–almost a $7,000 profit in today’s money. 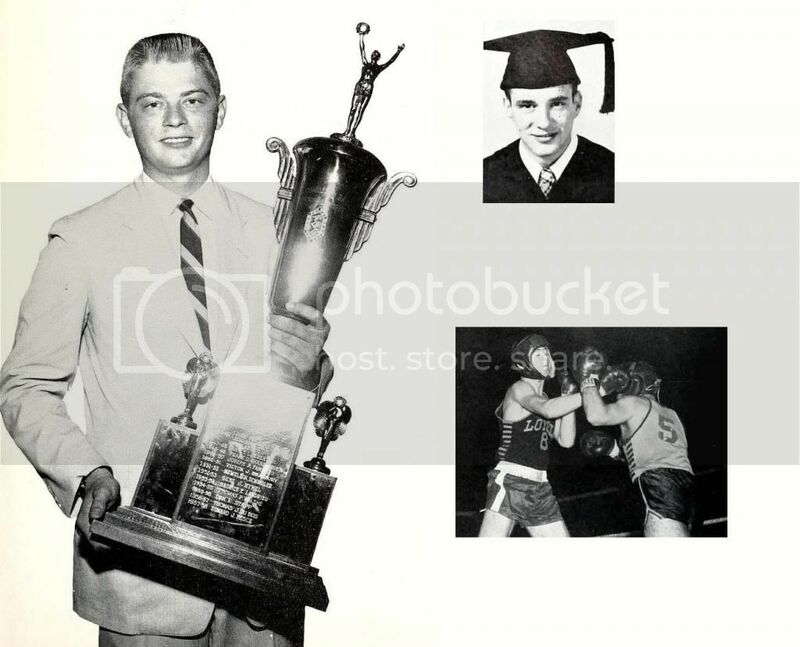 Torre, Daschbach, and Hoskins went on to graduate from Loyola in 1959. 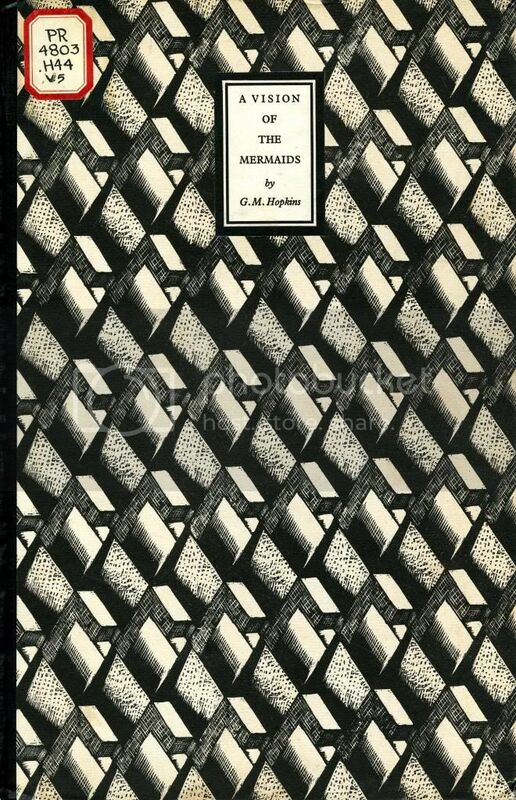 Kessels was a 1960 Tulane architecture graduate whose work includes the current decoration of Holy Name of Jesus church. Thank you to Jerry Hoskins for sharing this photo and story with SC&A. For information on the some of the documented buildings of Loyola, come see the Buildings display on the third floor of the library, part of the Monroe Library Centennial Exhibit. 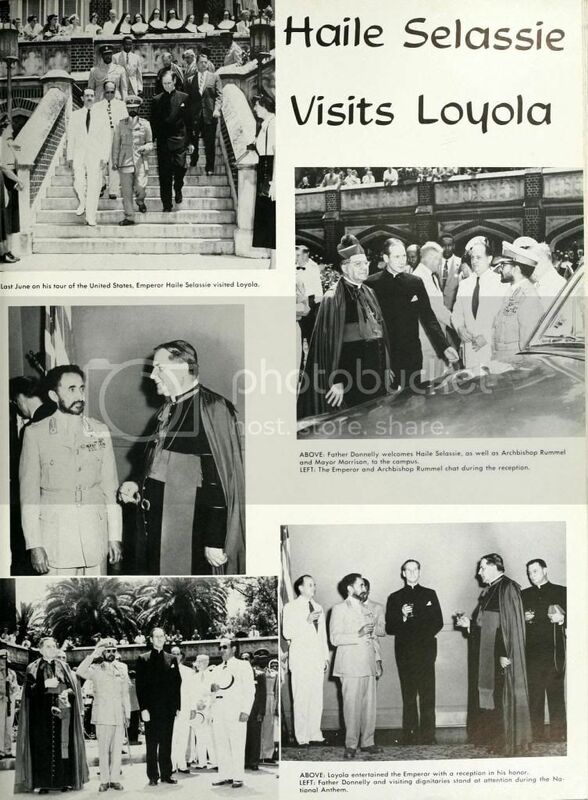 In June of 1954 Loyola hosted a very prominent guest: His Imperial Majesty the Conquering Lion of the Tribe of Judah, Haile Selassie I, Elect of God, Emperor of Ethiopia. [T]he Emperor looked emaciated, and was only 5 feet 4 inches tall. But he managed to convey an imposing presence and an air of cold command whether he was seated at his desk in military uniform with a blazing array of decorations across his chest; or whether he was standing, caped, on the rostrum of the League of Nations; or whether, seated bolt upright in his green or maroon Rolls-Royce, he was motoring through the dusty streets of Addis Ababa as his subjects lay prostrate while he passed. His Imperial Majesty is also known as a central figure of the Rastafari Movement. The crowning of the Emperor, whose name at birth was Ras Tafari Makonnen, in 1930 was interpreted by some in Jamaica as fulfillment of a prophecy made a decade prior by Jamaican Pan-African leader Marcus Garvey, who predicted the rise of an African King who would lead the Diaspora back to Africa. Haile Selassie I was viewed as that leader, a messiah of the African people, and adherents adopted the Emperor, himself a Coptic Christian, into the center of the Rastafari Movement. 1954 Wolf coverage of Haile Selassie's visit. Fall 2012 Extended Study has come and gone. We’ll be open so that you can study around the clock starting on Sunday, December 2 through Friday, December 14! Open continuously from 10am on Sunday, December 2 until midnight on Friday, December 7. Open 7am-midnight on Saturday, December 8. Open continuously from 10am on Sunday, December 9 until 6pm on Friday, December 14. The front doors will be locked at 9pm Sunday-Thursday and at 6pm Friday and Saturday. During this time, please use the computer lab entrance. Only members of the Loyola community will be permitted to be in the building when the front doors are locked. A valid Loyola ID will be required to enter the library. Study groups should work on the first floor in the Learning Commons or in a group study room. Group study rooms can be checked out to two or more people. Renewals and reservations are not permitted during this time. The second and third floors are reserved for quiet study. Never leave your valuables unattended! Please help our crew keep the library clean by utilizing trash bins. Free coffee and tea will be available after midnight! The Monroe Library welcomed Elevate New Orleans http://elevateusa.org/this fall. Elevate is an after-school program for inner-city middle and high school students who excel at basketball. The program provides academic, athletic, and social training to help ensure the students attend college and ultimately give back to their community. This mission aligns with the Jesuit vision of education, which includes educating the whole person and acting as men and women for others. The library is home to the academic program. Loyola students engage in tutoring through the Community-Based Federal Work Study program. Malia Willey (Instruction Coordinator) works with Sky Hyacinthe (Executive Director of Elevate) to develop and implement the curriculum, which includes information literacy and college preparedness. Elevate has also partnered with other Loyola groups, such as the Lindy Boggs Center, the Office of Service Learning, and the University Honors Program. You are currently browsing the Library Lagniappe blog archives for the year 2012.